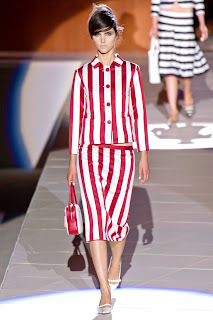 Marc Jacobs brings the circus to town with ruffled Pierrot clown collars, scalloped hemlines and cartoon characters. 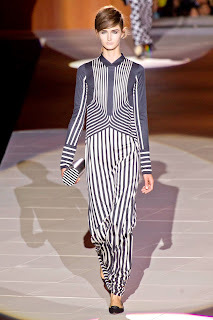 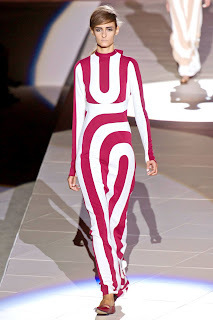 His floor-length curving wide-striped dresses were show-stoppers. 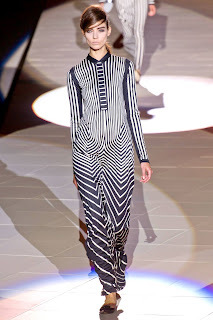 The clothes were accessorised with pointy-toed flats and little box bags.